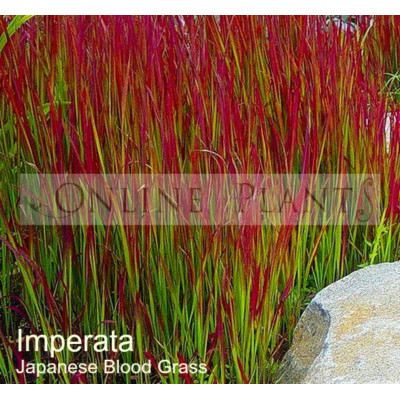 Japanese Blood Grass is a spectacular architectural plant ideal for modern landscaping. Very effective planted en-masse under deciduous Acer palmatum bloodgood, or around granite rocks for maximum effect. Highly recommended by online plants. Prefers moist well drained soils in a protected position in part shade. Sometimes it is necessary to remove any green foliage to encourage the plant to remain the deep red colour.